Whether it is to your relief or your chagrin, the holidays have officially begun to wind down. Now that you’ve finished up the eggnog and rocked around the Christmas tree, the only thing left to do is un-deck the halls! Though you’re surely exhausted from all of the festivities, it’s not time to slack off just yet! We urge you to look back on that time in November when you first began decorating your home. Did you spend an uncomfortable time rummaging through the attic for boxes? Were family members placing bets on who would win the wrestling match- you or the ball of Christmas lights? Perhaps bulbs were broken and bows were crushed! We’re here to tell you that you don’t have to deal with that mess next season! 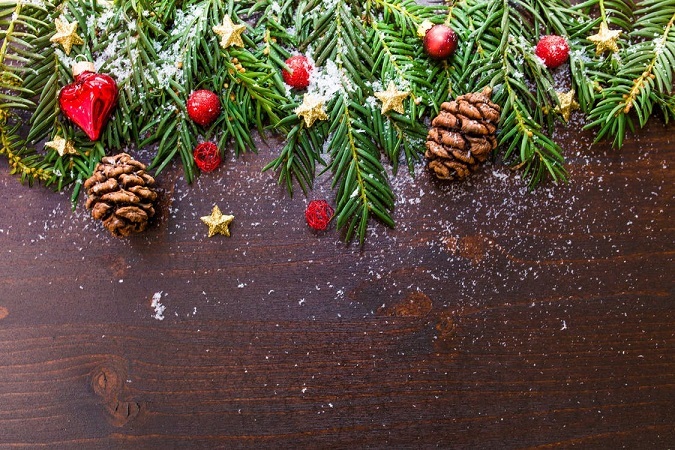 We’ve gathered some tips to make storing and organizing your holiday decorations easy! 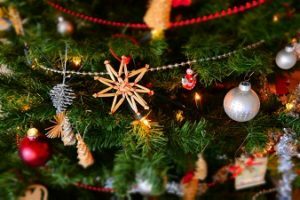 Often times ornaments are among the most valued pieces of Holiday Decor. Unfortunately, they are also the item that is broken most frequently. Whether they are collectibles, family heirlooms, or just plain fragile, you’ll want to keep them protected. Fortunately, there are a couple of ways you can do that! Purchase an ornament storage container– Yes! This IS a thing! And there are different styles and sizes to choose from. You can purchase them at your local craft store or view options at com. These storage containers make it safe to stack ornaments by giving each individual bulb its own little cubical. This is a great route to go if you are not interested in any DIY projects. Use Cookie Tins and Coffee Filters– This is a super easy and cheap solution to storing your ornaments! If you already have holiday cookie tins, you can fill them with coffee filters to act as a buffer between your ornaments. Tennis Ball Containers– If you’re an avid player or purchase tennis balls for your god on a regular basis, you can use the tennis ball tubes to store your more delicate ornaments. The hard plastic is sure to keep them safe! Empty Egg Carton– Depending on the size of your ornaments, you may be able to get away with using an empty egg carton to store smaller ornaments. Putting up and taking down Christmas lights is both frustrating and potentially dangerous. But what would the holiday season be without them? As you remove your lights, it is easy to become frustrated and just want the job to be over with. 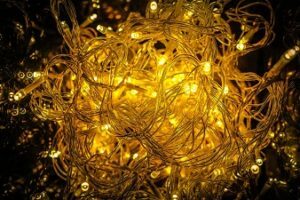 As a result, you often end up storing a tangled ball of lights and figure you will just deal with the problem next year. Unfortunately “dealing with it next year” also involves a lot of frustration. Think of how much time you lose to untangling lights each year! To make it easier on you, there are a couple of ways we can think of to help you organize and store your lights. Purchase Light/Wire Wraps– Once again, this is a perfectly fine solution if you aren’t one for DIY projects. They’re typically built to last and made of hard plastic so you can use them for many years in a row without worrying. However, if you don’t want to spend the money, you can easily make your own at home! Make cardboard light wraps– I’m sure you’ll have plenty of cardboard left over after Christmas! Take this opportunity to repurpose it into a cardboard wrap for your Christmas lights. In whatever size that you deem appropriate for storage, cut out small notches on both sides of the cardboard. Wrap your lights around them, fitting each strand into a notch as you go down. This makes for neat and tidy storage. Additionally, it will make it much easier to put them up next year! Your holiday wreath proudly welcomes guests into your home with your unique style. They are made out of many types of materials. These include glitter, bows, paper, artificial foliage, and more! These materials, however, are not invincible. Bows go flat, glitter is all through the house, and pieces are possibly breaking off. It is very important to store your wreath carefully so that you will be able to get multiple years out of it! Purchase a wreath storage bag– Another obvious solution, purchase a product pre-made for this exact purpose. All you have to do is take measurements! You can find a selection on Amazon.com for very reasonable prices. Use a garment bag– At ClutterTroops, you know that we are all about recycling and repurposing! If you have a garment bag at home and it is appropriately sized, you can store your wreath safely inside. This will keep any glitter or stray pieces contained. At this point, you will be able to either store the garment bag hanging up or gently lay it on top of other things. This allows you to help the wreath keep it shape. If you are a gift wrapping guru then you surely understand the importance of safely storing and organizing your wrapping paper and supplies! So much money is wasted when rolls of beautiful and expensive wrapping paper is destroyed due to improper storage. How you store your wrapping supplies also has a lot to do with how often you are wrapping gifts and how much you space have available. 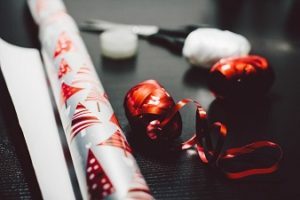 Many people who are avid crafters have chosen to set up a specific station in their craft room or corner dedicated to gift wrapping supplies. We love this idea if it will serve you well. Use a rubber band or hair tie to keep them closed– Tightly wrap your wrapping paper with a rubber band or hair tie at each end. This helps to keep it secure so that the paper isn’t damaged. Only tying the paper down in the middle can end up with ripped and destroyed corners. Purchase a gift wrap storage container– This is an organizing system meant to be implemented into your home long term (such as inside a closet or its own piece of furniture) or easy to transport storage container. Use a Garment Bag– Many storage bags that you see online can be replicated using a garment bag. Place the rolls of gift wrap inside after securing both edges. Use small bins or Ziploc bags to store other accessories– You can store bows, tags, tape, scissors, ribbons and more by using small bins, a plastic drawer set, or even Ziploc bags. Just keep in mind that you should store ribbons and bows gently so that you don’t dent them. Store wrapping paper upright in a bin– This system could work well depending on where you are planning on storing your paper. With much of the paper exposed, it is at a higher risk for damage. There really are so many options when it comes to storing your wrapping paper and supplies! Get inspired with these great options to figure out which will work best for you in your own home! Take Pictures- In order to remember the exact placement of each item, make sure you take pictures! This will make your set up easy next year. Especially if you dare recruit some additional help from your family! Let it go, Let it go, Let it go- As you safely store your treasured Christmas items, make sure you are considering whether they are worth keeping. Are they in good, working condition? If not, consider donating or recycling the item! Artificial Tree Storage- If you use an artificial tree, it’s always best to keep the box if possible. If it has been damaged or if you got it without a box, you can purchase artificial tree storage bags that even come with a handle to make it easy! Just be sure to shop around and mind the measurements! We, at ClutterTroops, hope that 2017 and the holiday season treated you and your family well! Make sure to let us know if you have specific content that you would like to read about on our ClutterTalk Blog and don’t forget to subscribe!